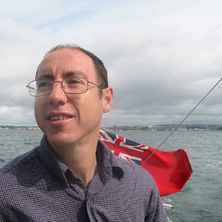 Professor Anthony J. Richardson has research interests in impacts of climate change, marine ecology, and analyses of large datasets using modern statistical techniques. He holds an Honours degree in Zoology from the University of Queensland and a PhD degree in Marine Ecology from the University of Cape Town. Since 2005, Anthony has a joint position between the School of Mathematics and Physics at UQ and CSIRO Oceans and Atmosphere. He has previously held positions at the University of Cape Town (South Africa), the University of the Western Cape (South Africa), and the Sir Alister Hardy Foundation of Ocean Science (UK). I was the first to show that the timing of marine events in the ocean - such as blooms - are becoming earlier because of climate change. I have also co-led the global working group that has provided the most comprehensive synthesis of the impacts of climate change on marine systems. My work on climate impacts has been heavily cited in the IPCC 4th and 5th Assessment Reports. It culminated in me being invited to co-author of Chapter 30 The Ocean in the IPCC 5th Assessment. This Chapter has helped raised the profile of the impact of climate change on our oceans and has motivated our world leaders to act on climate change. How will the distribution of marine species respond to climate change, and how will this impact biodiversity and conservation? This century, climate change is likely to become the major threat to marine biodiversity. This project will use massive Australian, regional and global datasets of marine biodiversity (with 10s of millions of records) in combination with environmental layers to model the current distribution of global biodiversity using compositional modelling (gradient forest and generalized dissimilarity modelling). Outputs from Global Climate Models will then be used to map the potential changes in community ranges. Using these derived data, the adequacy and representativeness of the existing global Marine Protected Area (MPA) network will be assessed for time slices in the future. This project will also develop optimal configurations of the MPA network that might facilitate the climate-driven movement and ultimate protection of marine biodiversity. It is currently challenging to represent zooplankton in biogeochemical and ecosystem models because of the complexity in the zooplankton community, with at least a dozen common phyla. As respiration, growth, mobility, abundance, and mortality are all related to organism size, describing the zooplankton community in terms of size of individuals and incorporating this into models provides a natural way to move forward. In this project, the PhD student will use a global dataset of zooplankton size spectra to develop methods of incorporating size into existing coastal and global ecosystem models, and investigate the impact of these formulations on model predictions. This PhD position is part of a larger Australian Research Council Discovery project that is analyzing a global database of zooplankton size spectra to investigate how zooplankton control the transfer of energy from phytoplankton to fish. The PhD student will have access to an unprecedented national and international database of zooplankton size spectra, and extensive collaborations with statisticians, biologists and ecosystem modellers. Marine biodiversity will be impacted by climate change. Expectations for the rates of species’ range shifts and changes in the timing of biological events can be generated by combining spatial and seasonal temperature gradients with predictions of temperature under global warming. This project will use the new concepts of climate velocity and seasonal shift and their trajectories to investigate factors that might drive the reshuffling of biodiversity at a community level in time and space. The focus will be on applying the concepts of velocity, seasonal shift and trajectories in developing conservation strategies. Hobday, Alistair J., Game, Edward T., Grantham, Hedley S. and Richardson, Anthony J. (2011). Missing dimension: Conserving the largest habitat on Earth: protected areas in the pelagic ocean. In Marine protected areas: a multidisciplinary approach (pp. 347-372) Cambridge, UK: Cambridge University Press. Le Borgne, Robert, Allain, Valerie, Griffiths, Shane P., Matear, Richard J., McKinnon, A. David and Richardson, Anthony J. (2011). Vulnerability of open ocean food webs in the tropical Pacific to climate change. In Johann D. Bell, Alistair J. Hobday and Johanna E. Johnson (Ed. ), Vulnerability of Tropical Pacific Fisheries and Aquaculture to Climate Change (pp. 189-250) New Caledonia: Secretariat of the Pacific community. McKinnon, A. D., Richardson, A. J., Burford, M. A. and Furnas, M. J. (2007). Vulnerability of Great Barrier Reef plankton to climate change. In Johnson, J. E. and Marshall, P. A. (Ed. ), Climate Change and the Great Barrier Reef: A Vulnerability Assessment (pp. 121-152) Townsville, Australia: Great Barrier Reef Marine Park Authority. How long can fisheries management delay action in response to ecosystem and climate change? Are jellyfish increasing in response to ocean acidification? Poloczanska, E. S., Babcock, R. C, Butler, A., Hobday, A. J., Hoegh-Guldberg, O., Kunz, T. J., Matear, R., Milton, D. A, Okey, T. A. and Richardson, A. J. (2007) Climate change and Australian marine life. Oceanography and Marine Biology, 45 407-478. What determines the likelihood of species discovery in marine holozooplankton: is size, range or depth important? Barnard, R. T., Batten, S., Beaugrand, G., Buckland, C., Conway, D. V. P., Edwards, M., Finlayson, J., Gregory, L. W., Halliday, N. C., John, A. W. G., Johns, D. G., Johnson, A. D., Jonas, T. D., Lindley, J. A., Nyman, J., Pritchard, P., Reid, P. C., Richardson, A. J., Saxby, R. E., Sidey, J., Smith, M. A., Stevens, D. P., Taylor, C. M., Tranter, P. R. G., Walne, A. W., Wootton, M., Wotton, C. O. M. and Wright, J. C. (2004) Continuous plankton records: Plankton atlas of the North Atlantic Ocean (1958-1999). II. Biogeographical charts. Marine Ecology-progress Series, MEPS supplement SUPPL. : 11-75. Richardson, A. J., Verheye, H. M., Herbert, V., Rogers, C. and Arendse, L. M. (2001) Egg production, somatic growth and productivity of copepods in the Benguela Current system and Angola-Benguela Front. South African Journal of Science, 97 5-6: 251-257. Silulwane, N. F., Richardson, A. J., Shillington, F. A. and Mitchell-Innes, B. A. (2001) Identification and classification of vertical chlorophyll patterns in the Benguela upwelling system and Angola-Benguela front using an artificial neural network. South African Journal of Marine Science-suid-afrikaanse Tydskrif Vir Seewetenskap, 23 37-51. Richardson, A. J., Lamberts, C., Isaacs, G., Moloney, C, L. and Gibbons, M. J. (2000) Length-weight regressions for some important forage crustaceans from South Africa. NAGA, WorldFish Center Quarterly, 23 1: 29-33. Mitchell-Innes, BA, Richardson, AJ and Painting, SJ (1999) Seasonal changes in phytoplankton biomass on the western Agulhas Bank, South Africa. South African Journal of Marine Science-Suid-Afrikaanse Tydskrif Vir Seewetenskap, 21 217-233. Verheye, HM, Richardson, AJ, Hutchings, L, Marska, G and Gianakouras, D (1998) Long-term trends in the abundance and community structure of coastal zooplankton in the southern Benguela system, 1951-1996. South African Journal of Marine Science-Suid-Afrikaanse Tydskrif Vir Seewetenskap, 19 317-332. Hutchings, L, Barange, M, Bloomer, SF, Boyd, AJ, Crawford, RJM, Huggett, JA, Kerstan, M, Korrubel, JL, De Oliveira, JAA, Painting, SJ, Richardson, AJ, Shannon, LJ, Schulein, FH, Van der Lingen, CD and Verheye, HM (1998) Multiple factors affecting South African anchovy recruitment in the spawning, transport and nursery areas. South African Journal of Marine Science-Suid-Afrikaanse Tydskrif Vir Seewetenskap, 19 211-225. Richardson, AJ, Mitchell-Innes, BA, Fowler, JL, Bloomer, SF, Verheye, HM, Field, JG, Hutchings, L and Painting, SJ (1998) The effect of sea temperature and food availability on the spawning success of Cape anchovy Engraulis capensis in the southern Benguela. South African Journal of Marine Science-Suid-Afrikaanse Tydskrif Vir Seewetenskap, 19 275-290. Richardson, AJ, Verheye, HM, Field, JG, Payne, SM and Wright, E (1997) Assessment of the food available to Cape anchovy during their spawning season. South African Journal of Marine Science-Suid-Afrikaanse Tydskrif Vir Seewetenskap, 18 113-117. Long-term increase in crustacean zooplankton abundance in the southern Benguela upwelling region (1951-1996): bottom-up or top-down control? The conservation status and critical habitat requirements for manta ray species in Australian Waters. Plankton form the base of the marine food web. There is very little information about how climate change has altered Australian plankton communities. Using the largest dataset of marine plankton in Australia - collected by the Integrated Marine Observing System - this project will investigate the seasonal, interannual, and decadal varaition in phytoplankton and zooplankton communities around Australia. This information will be combined with ecoystem models to understand flow-on effects on higher trophic levels. How plankton will respond to climate change will determine the productivity of Australia's marine systems in the future. Queenslanders are keen anglers. Each year more than 700,000 people fish for recreation, with anglers taking home around 8500 tonnes of fin fish, crabs and prawns. Queensland's fisheries resources are also important for tourism, attracting anglers from around Australia and the world. The Queensland Government has conducted seven Statewide recreational fishing surveys between 2007 and 2015. The surveys provide estimates of recreational fishing harvests by species, which is a crucial input for assessing the fishing pressure on and status of fished stocks in Queensland. This information is used to safeguard marine resources for today and tomorrow. New statistical methodologies are required to improve the accuracy of estimates and confidence intervals between surveys. This is to include regionally focused information on recreational fishing participation rates, where and how many people fish, and what they catch. Improved estimation of state-wide recreational harvests, including resampling, bootstrap and MCMCtechniques. Quantify changes in survey angler avidity and recall bias between survey years and methodologies; adjust previous survey data to obtain improved estimates. Evaluating sampling frames - develop methods to generate state-wide harvest estimates (and associated measures of uncertainty) from several synchronous samples taken from different sampling frames (e.g. a licence frame and a residential telephone number list). Develop hierarchical and conditional mixed models for estimation of recreational fish catch and catch rates. Investigate the statistical modelling of recreational survey data collected from multiple survey methods. From survey to analysis: dealing with differences in the scale survey data are collected at and the scale data are analysed at. Examine appropriate estimation methods for different fish species. Develop statistical methods for low fish abundance or recreational species caught by ‘hard-to-reach’ fishers. Develop methods to engage and retain recreational fishers in volunteer data contribution programs. Joint project with the Department of Agriculture and Fisheries (DAF) within the Queensland Government. A PhD funding top up of $7K per year will offered. The Department of Agriculture and Fisheries (DAF) within the Queensland Government monitors commercial and recreational fisheries throughout the state. The objectives of this fishery-dependent monitoring include collecting the data required to assess the status of key fish stocks and the effectiveness of current management arrangements (especially fisheries with catch / effort quotas), as well as helping develop new, effective management arrangements (https://www.daf.qld.gov.au/fisheries/monitoring-our-fisheries). Turning data into advice about the status of Queensland’s fish stocks or the sustainability of Queensland’s fisheries is the challenge and occurs in a number of different ways. The most regular assessments now occur annually for key species, as outlined in the “Framework for Defining Stock Status” (https://www.daf.qld.gov.au/__data/assets/pdf_file/0003/63930/PMS-Framework.pdf) and the national framework (https://www.daf.qld.gov.au/fisheries/monitoring-our-fisheries/data-reports/sustainability-reporting/stock-status-assessments).The main activity in defining stock status each year is a workshop, which involves assessing all the available fish length and age data. Formal stock assessments are carried out less frequently (https://www.daf.qld.gov.au/fisheries/monitoring-our-fisheries/data-reports/sustainability-reporting/stock-assessment-reports) using mathematical modelling to reconstruct the history of species-specific fisheries from all available data. New statistical methodologies are required to: 1) evaluate to the effective sampling of fish length and age data, and 2) quantify rates of fish mortality and reference points. Review and evaluate efficient sampling programs: Is the right amount of sampling occurring for each species? Are there any significant biases in the sampling programs for each species? Assess whether routine analyses are being carried out correctly and to develop new analyses for fisheries management. Develop quantitative analyses to optimise fishery-dependent sampling across multiple species and regions. Includes developing routine methods for assessing precision of current sampling of fish length and age. Develop new methods for turning fish length and age data into advice (indicators) about fishing pressure and the status of fish stocks. Develop a corresponding harvest strategy and reference points for judging the performance of the indicators.